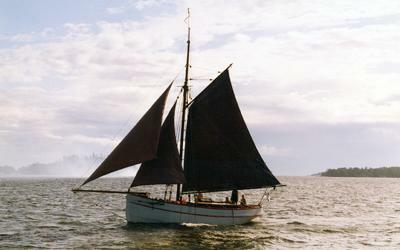 For sale: Lille Lodsen, a Pilot Cutter from Bornholm, Denmark. Interior: Oak and mahogany / Sleeps 5 pers. Additional equipment: Traditional wood-burning stove, winch + 2 anchors, (1 CQR), chemical toilet and basic navigational equipment. 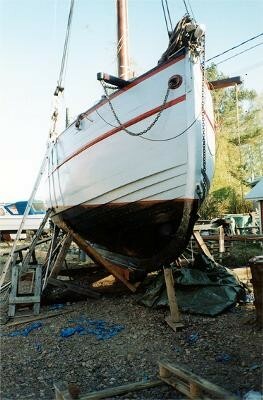 The boat is registered in Lovisa Finland, and member of the Finnish Traditional Sailing Society. Currently based in Mariehamn Åland Islands. Time has come to hand over this exceptional boat to someone with the right spirit, knowledge and energy to keep her sailing. Asking price: 35000€ (Offers are welcome). 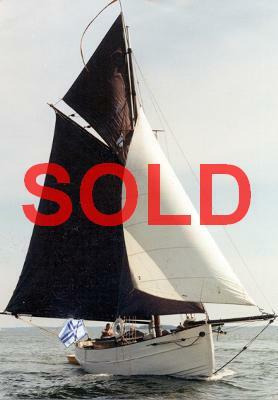 Comments for For sale: Lille Lodsen, a Pilot Cutter from Bornholm, Denmark. Its sold to a man in sweden. How nice.. I got the ship the brother build the same year. I have looked for this boat for a while. något är fel. Han byter ägare lite för ofta. I love this old boat and so I believe, the new Swedish owner does. So, why is the old lady back on the marked,I wonder ?